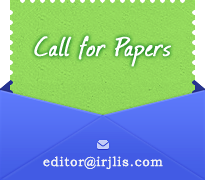 Background of the study: Though a small venture, this article is intended to investigate the information seeking behaviour and the role of mass media in socio-economic empowerment of the Santals, who are the major tribal communities of West Bengal in general and Birbhum district in particular and mainly depend on interpersonal mode of communication to share information. Objectives: Specific objectives of the study is to investigate information seeking behaviour and role of media in socio-economic empowerment of the Santals of Birbhum district, Wet Bengal. Population of study: The study conducted in 4 villages, viz, Balipara, Kaliganj, Baganpara, Pearson Pally in and around Santiniketan, within a radius of ±1 Km. from Visva-Bharati, the first central university of independent India. Methods and tools: The study is based on questionnaire survey, though interview was taken from the illiterate Santals. 100 respondents from the 4 study villages (50 male and 50 female) were selected applying multi-staged stratified random sampling technique. Findings: (i) Most of the Santals suffer for lack of education and information due to various socio-economic and cultural factors like economic backwardness, unemployment, massive poverty, illiteracy, language problem etc., (ii) Santals till now believe interpersonal communication and traditional media to share information (iii) Mass media like radio and television is mostly used by the Santals for their entertainment, (iv) Best time for listening radio or watching television is evening. Conclusion and suggestions: The study finally suggest for balanced combination of traditional and mass media in human empowering as well as aware the Santals towards active participation in various ongoing developmental programmes, which in turn will help to achieve sustainably developed of the Santals. Tags: Adivasi, Information communication, Mass media, Santals, Socio-economic empowerment, Sustainable tribal development.